"Evidence of the Afterlife. The Science of Near-Death Experiences" is a book written by Jeffrey Long together with Paul Perry. Jeffrey Long is the principal author, and works as a radiation oncologist in Houma, Louisiana. He has been fascinated by the near death experience phenomena for many years, and has set up and maintained the well known Near Death Experience Research Foundation. I know Jeffrey Long to be a man who has dedicated many years to studying the near death experience. 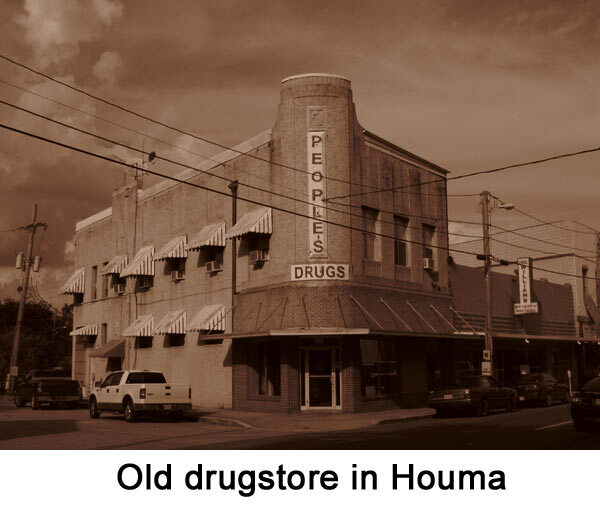 Moreover, my wife and I spent two very pleasant days in Houma during October 2009. We both have pleasant memories of this charming Louisiana town with its friendly people, historical buildings along the main street, good coffee, a wonderful Swamp Pop and Zydeco music festival , and a very decent meal at the Ichiban Japanese restaurant there. So I immediately ordered "Evidence of the Afterlife" after hearing of its release in January 2010. Amazon was fast. A little more than a week later the book fell onto my doormat in Leiden, The Netherlands. It was pleasant appearing slim book of 215 pages. My first impressions were very positive. The book is a well produced hardcover book with sewn signatures. This book will survive a lot of use. It is published by HarperOne, an imprint of Harper Collins. A good and reputable publisher. A nice professionally produced dust jacket. Good quality cream colored paper. Easy to read, well spaced text. Simple words and text. You do not need a dictionary to read this book. This evidence would be extraordinary even if NDEers were fully awake and alert at the time of their experiences. But they're not. People who have near death experiences are generally unconscious or clinically dead at the time of their experience. It is medically inexplicable that they would have any conscious experiences, let alone experiences so packed with evidence pointing to an afterlife. Instead of a systematic analysis of these nine lines of evidence, Jeffrey Long provides us with pages filled with snippets extracted from near death experience reports illustrating features that near death experiences have in common. It is true that they are experiences having profound effects upon the people who underwent them. However, these are reports of the personal perceptions of these experiences as undergone by the people reporting them. There are no observer reports, except for cases of veridical out of body experiences. So these remain profound, but personal perceptions. And Jeffrey Long uncritically accepts these reports at face value. Those few attempts he does make at scientific explanations are woefully inadequate. Effectively he provides no medical or scientific explanations for these phenomena at all. He says he cannot explain these phenomena, and often omits any attempt at scientific explanation altogether. Worse yet, he even seems totally unaware of the large body of scientific evidence relevant to the study of near death experiences. Finally, after simply accepting all the contents these many reports as the literal truth, he concludes that the sum total of the nine lines of evidence derived from his woefully inadequate analysis proves the reality of the afterlife, because he cannot explain them with medical science. This sounds suspiciously like the old God of the gaps argument used in theology to prove the existence of God and the supernatural. Put simply, the argument as eloquently expressed in the Wikipedia article states: "There is a gap in understanding of some aspect of the natural world. Therefore the cause must be supernatural." I began to feel unhappy. Is this worn-out and discredited old argument truly the basis for the nine lines of evidence presented in "Evidence of the Afterlife"? So what are these nine lines of evidence (cited from index and pages 46-50 in "Evidence of the Afterlife")? Lucid death. It is medically inexplicable to have a highly organized and lucid experience while unconscious or clinically dead. Out of body. NDErs may see and hear in the out-of-body (OBE) state, and what they perceive is nearly always real. Blind sight. NDEs take place among those who are blind, and these NDEs often include visual experiences. Impossibly conscious. NDEs occur during general anesthesia when no form of consciousness should be taking place. Perfect playback. A life review during the NDE accurately reflects real events in the NDEr's life, even if these events have been forgotten. Family reunion. Virtually all beings encountered during NDEs are deceased at the time of the NDE, and most are deceased relatives. From the mouths of babes. The striking similarity of content in NDEs among very young children and that of adults strongly suggests that the content of NDEs is not due to preexisting beliefs. Worldwide consistency. The remarkable consistency of NDEs around the world is evidence that NDEs are real events. Changed lives. NDErs are transformed in many ways by their experience, often for life. I accepted the near death experience reports for what they are - true accounts of profound personal experiences with many similar features. Instead, I systematically examined the reasons given by Jeffrey Long why these nine lines of evidence derived from these reports are medically inexplicable. Jeffrey Long discusses the fact that people who are severely injured, or suffer from a cardiac arrest, sometimes undergo very lucid near death experiences at a time they were very evidently unconscious. Cardiac arrest is the most dramatic type of "clinical death". Indeed, as Jeffrey Long quite correctly states on page 46, consciousness and brain electrical activity cease 10-20 seconds after the heart stops beating (see the article by Visser-2001). And then Jeffrey Long proceeds to make the same unbelievable assumption as just about all other doctors publishing studies of near death experiences during cardiac arrest. He forgets to tell us that all those who survived cardiac arrest underwent cardiac massage. They survived cardiac arrest because of undergoing cardiac massage, because without undergoing cardiac massage people remain dead, and cannot tell of their near death experience. Another classic example of this faulty way of thinking is that of the Dutch cardiologist Pim van Lommel in his Lancet article published in 2001 (see page 2044 of Lommel 2001). With lack of evidence for any other theories for NDE [near death experiences], the thus far assumed, but never proven, concept that consciousness and memories are localised in the brain should be discussed. How could a clear consciousness outside one's body be experienced at the moment that the brain no longer functions during a period of clinical death with flat EEG? Also, in cardiac arrest the EEG usually becomes flat in most cases within about 10s from onset of syncope. Just as Pim van Lommel did in 2001, Jeffrey Long in 2010 omits to tell the reader that the very process of cardiac massage restores a flow of blood to the brain (Swenson-1988), and even restores the electrical activity of the brain in some cases ( see case 5 in the article by Elton-1961). Cardiac massage is sometimes even so efficient that some people are visibly conscious, even though they have no heartbeat at all (Bihari 2008). Studies of the amount of blood flow and blood pressure generated by external cardiac massage, reveal that cardiac massage generates a blood pressure and flow of blood around the body sufficient to sustain consciousness in about 15-20% of persons undergoing external cardiac massage for cardiac arrest (see figures below). This explains the results of all the studies examining the chance of undergoing a near death experience during cardiac arrest. These figures also predict that the AWARE study will also find that about 15-20% of cardiac arrest survivors will report being partially or fully conscious during cardiac resuscitation for cardiac arrest. The reader of this review can read an extensive discussion of this subject with extensive references to the medical literature at this website (click here). People undergoing cardiac massage for cardiac arrest, or who are severely injured, always suffer from brain oxygen starvation. The medical explanation of this is rather more detailed than is warranted in this review, but it does occur. But Jeffrey Long claims on pages 65-66 that oxygen starvation cannot explain the feelings of exultation and clear thinking experienced during near death experiences during these conditions. Even so, brain oxygen starvation does modulate the brain function of these people, and brain oxygen starvation has long been known to induce a fantastic state of mind. This was reported long ago in the classic study of the mental effects of oxygen starvation by Van Lier & Stickney in 1963 (Liere van EJ, Stickney JC, (1963), Hypoxia, published University of Chicago Press, page 300). Hypoxia quickly affects the higher centers, causing a blunting of the finer sensibilities and a loss of sense of judgment and of selfcriticism. The subject feels, however, that his mind is not only quite clear but unusually keen. He develops a fixity of purpose and continues to do what he was doing when hypoxia first began to affect him, in spite of the fact that it may lead to disaster. This fixity of purpose is highly dangerous, especially when such an individual is responsible for the lives or others, such as is true of an airplane pilot. It is now 2010, and I do not believe the human body has changed much since 1963. These same mental effects of oxygen starvation are still repeatedly experienced by those undergoing experimental and accidental oxygen starvation. However, it should be noted that these mental effects are what the oxygen starved person experience. Observers of oxygen starved people see something very different. They see a confused, incoherent person who does strange things, and manifests abnormal or absent movements. This is the difference between external observation and personal experience of oxygen starvation. Paralysis is another known effect of oxygen starvation (Rossen R, et al, (1943), Acute arrest of cerebral circulation in man. Archives of Neurology and Psychiatry, 50: 510-528). So the fact that an oxygen starved person does not move, does not mean that the person is unconscious due to oxygen starvation - that person may be conscious but paralyzed. This brings us to a concluding remark on this first of the nine lines of Evidence of the Afterlife. To paraphrase a statement on page 46 - "It is medically very explicable to have a highly organized and lucid experience while unconscious or clinically dead." Accordingly, the experience of "Lucid Death" is not evidence of the afterlife. Many people are amazed by out of body experiences. They are amazed at how it is possible for the seemingly immaterial consciousness of a person to depart from the body, and hear as well as see, verifiable things and events from a vantage point outside the body. A lot of good medical research has been performed demonstrating how it is possible for people to undergo out of body experiences. I have extensively discussed the medical research showing how the body can generate these experiences in chapter 6, on page 128 of the book The Unholy Legacy of Abraham, as well as in chapters 10 to 12 of the book Mortal Minds. A discussion of the different ways the how the body can indeed generate the sensations and illusion of out of body experiences is beyond the scope of this review. Suffice to say - the mechanisms of the human body can indeed generate all the sensations reported by those reporting out of body experiences. Yet people reporting their out of body experiences say they actually saw the persons in their surroundings, saw the colors of their clothing, saw the type of clothing, saw the hair colors, and their make-up, whether there were men and women present, etc. Moreover, people reporting their out of body experiences can sometimes accurately report what was said by people in their vicinity, as well as accurately describing other sounds during these experiences. These things are verifiable, and are often confirmed to be true and to have occurred by observers present in the surroundings of these people at the time of their out of body experiences. This is a crucial observation. Observers see with physical light waves, and hear with physical sound waves. But the supposedly disembodied consciousness of a person undergoing an out of body experience is immaterial, and this has major provable consequences. The immaterial disembodied consciousness of a person undergoing an out of body experience does not interact with physical matter at all, because it can depart from the body, actually passing through the solid matter of the body, and even pass through solid walls. Accordingly, the disembodied consciousness cannot possibly hear, because it would also have no interaction with sound waves in air (see pages 264-266 in The Unholy Legacy of Abraham). The disembodied consciousness of a person undergoing an out of body experience is invisible and has no interaction with physical matter. These things mean it cannot be seen, and cannot be photographed or imaged at any wavelength of the electromagnetic spectrum. Accordingly, the disembodied consciousness of a person undergoing an out of body experience does not interact with light at all, which means it cannot possibly see anything (see pages 120-123 in The Unholy Legacy of Abraham). So how can de consciousness of a person undergoing an out of body experience hear and see? The answer is evident. The very fact that people do report observing verifiable things during out of body experiences, means that the apparently disembodied consciousness of a person undergoing an out of body experience sees with physical light waves, and hears with physical sound waves. After all, if this were not the case, these same observations could not be confirmed by observers present near the person at the time of the out of body experience. But an immaterial consciousness cannot see and hear, which means that people undergoing out of body experiences hear with their ears, see with their eyes, and build images of all that occurs within their minds. But how can this be? Let us return to the basic properties of the out of body experience. An out of body experience is indisputably a conscious experience. After all, an unconscious person has no experiences. An unconscious person hears nothing, sees nothing, and experiences nothing. 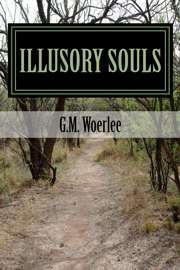 So even though the physical body of a person undergoing an out of body experience is seemingly unconscious, they are nonetheless very conscious, and only appear unconscious (see the extensive discussion of this phenomenon of apparent unconsciousness on pages 132-139 in Chapter 6, "Return flight to Paris", in the book The Unholy Legacy of Abraham. Accordingly, veridical perceptions of seeing things, people and events, as well as hearing sounds and speech during out of body experiences are due to the apparently unconscious person actually seeing and hearing these things. So how can de consciousness of a person undergoing an out of body experience hear and see? Let us return again to the basic properties of the out of body experience ( click here to read the properties of a disembodied consciousness). An out of body experience is indisputably a remembered conscious experience. After all, an unconscious person has no experiences. An unconscious person hears nothing, sees nothing, and experiences nothing. And it is a remembered experience, because no one says they are undergoing an out of body experience during the experience itself. So even though the physical body of a person undergoing an out of body experience is seemingly unconscious, they are nonetheless very conscious, and an conscious, although seemingly unconscious person, can hear and can see. This is why other people can verify the observations made by a person reporting events that occured during an out of body experience. This is the true nature of veridical observations made by those reporting their out of body experiences. On page 73 of "Evidence of the Afterlife", Jeffery Long refers to the "man with the dentures" story as proof of the reality of the immaterial reality of out of body experiences. A short summary of this story was first published in The Lancet, a prestigious international medical journal (see page 2041 in Lommel-2001). "During a night shift an ambulance brings in a 44-year-old cyanotic, comatose man into the coronary care unit. He had been found about an hour before in a meadow by passers-by. After admission, he receives artificial respiration without intubation, while heart massage and defibrillation are also applied. When we want to intubate the patient, he turns out to have dentures in his mouth. I remove these upper dentures and put them onto the 'crash car'. Meanwhile, we continue extensive CPR. After about an hour and a half the patient has sufficient heart rhythm and blood pressure, but he is still ventilated and intubated, and he is still comatose. He is transferred to the intensive care unit to continue the necessary artificial respiration. Only after more than a week do I meet again with the patient, who is by now back on the cardiac ward. I distribute his medication. The moment he sees me he says: 'Oh, that nurse knows where my dentures are'. I am very surprised. Then he elucidates: 'Yes, you were there when I was brought into hospital and you took my dentures out of my mouth and put them onto that car, it had all these bottles on it and there was this sliding drawer underneath and there you put my teeth.' I was especially amazed because I remembered this happening while the man was in deep coma and in the process of CPR. When I asked further, it appeared the man had seen himself lying in bed, that he had perceived from above how nurses and doctors had been busy with CPR. He was also able to describe correctly and in detail the small room in which he had been resuscitated as well as the appearance of those present like myself. At the time that he observed the situation he had been very much afraid that we would stop CPR and that he would die. And it is true that we had been very negative about the patient's prognosis due to his very poor medical condition when admitted. The patient tells me that he desperately and unsuccessfully tried to make it clear to us that he was still alive and that we should continue CPR. He is deeply impressed by his experience and says he is no longer afraid of death. 4 weeks later he left hospital as a healthy man." A detailed analysis of the transcript of a subsequent very good interview with the coronary care nurse involved reveals this story is no evidence of the afterlife. It does not even prove that the consciousness of this man was separated from his body. Instead, detailed analysis reveals that the apparently separated consciousness of this man was firmly inside his body during his out of body experience. He only imagined he was out of his body, and heard everything with his ears, and saw everything with his imagination and his eyes. (Click here to read a detailed analysis of this near-death experience). This brings us to a concluding remark on the second of the nine lines of Evidence of the Afterlife. Out of body experiences are products of the functioning of the body. Veridical observations made during out of body experiences prove that the consciousness is present within the body at the time of the observations. 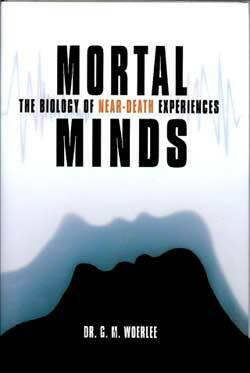 Accordingly, out of body experiences are neither evidence of the afterlife, nor are they evidence that individual consciousness is something immaterial that can exist outside the physical body..
No book on near death experiences would be complete without mentioning the studies of near death experiences among blind people reported by Kenneth Ring and Sharon Cooper in the book "Mindsight". Jeffrey Long does this on pages 83 to 92 of "Evidence of the Afterlife". However, unlike many popular writers on near death experiences (e.g. Mario Beauregard), he has actually read and understood the book. He has even interviewed one of the blind persons who reported undergoing a "visual" near death experience (see page 85). Ring and Cooper ingenuously question how it is possible for a person blind from birth to undergo visual out of body experiences, and visual near death experiences. Indeed when the results of Ring and Cooper's study are viewed uncritically, their conclusion is inevitable and even logical (see page 157 in the book "Mindsight"). Even if we cannot assert that the blind see in these experiences in any straightforward way, we still have to reckon with the fact-and it does seem to be a fact-that they nevertheless do have access to a kind of expanded supersensory awareness that may in itself not be explicable by normal means. Unfortunately for Jeffrey Long, Kenneth Ring, and Sharon Cooper, the reality is somewhat less simple. Carefully peruse the text of "Mindsight", and you find there were reports made by people who were partially sighted, or who had become totally blind after having possessed the ability to see. Such blind people reported actual visual near death experiences, seeing actual colors and their surroundings. Yet these were people who were either partially sighted such as the case of "Debbie" and "Carla" (pages 80-91 in Mindsight), or people who became blind after previously having had sight such as the case of "Marilyn" (pages 91-96 in Mindsight). Such "visual" near death experiences are quite understandable in such people, because they know what color is, they know the experience of sight, and the parts of their brains necessary for these things are developed, although now unused. Even so, there are interesting aspects to these reports, such as that of the report of a man called "Frank" (pages 105-107 in Mindsight). This was a man who had become totally blind after having been sighted for at least 40 years. This totally blind man "saw" the pattern and colors on a new tie during an out of body experience, even though everyone denied having ever described it to him. Yet is this entirely true? After all, someone could have later commented to him, "Nice tie ....Great colors, and strong pattern", and then described the tie, a description he later used in his report of his out of body experience. Furthermore his report was never corroborated, because the one person who could corroborate it, could not remember the exact events on the day this incident occurred, being only able to confirm that Frank was a sensible and "down to earth" man who was unlikely to lie. All these things make these stories somewhat less wondrous, placing them simply in the realm of normal vison and defective memory. Mindsight also discusses the out of body experience and near death experience reports of people "blind from birth". The parts of the brains of these people concerned with sight, and visual seeing, will never have developed in these people. They will have never developed an understanding of the sense of color and sight. But when you examine the "veridical" reports in Mindsight, you see they are often unqualified reports just stating that these people were "blind from birth". In one of these reports, that of "Helen", also "blind from birth", there is a passage where she states, "And then I thought, 'Oh, did I get my sight back?'" (page78-79 in Mindsight). So was Helen actually blind from birth, or did she become blind at some later date? I do not know from this book. Indeed, there are many such curious inconsistencies in Mindsight. Furthermore, many of those blind from birth were not totally blind, but could distinguish dark and light, and could distinguish color. These people can make such visual distinctions. So while the reports are surprising, these reports of veridical near death experiences and out of body experiences do not need supernatural causes to explain them. In fact, the normal perceptions of blind, and partially blind people are more than adequate to explain perceptions during normal consciousness and near death experiences. In the book "Evidence of the Afterlife", Jeffrey Long totally ignores the large body of scientific work confirming that blind people do generate mental imagery. Regardless of whether people are blind from birth or became blind at a later age, all blind people do build mental images of the world about them based upon information derived from the senses they do possess, so that they can move with some precision through open spaces, or through rooms and corridors (Afonso 2005, Arditi 1988, Baldwin 2005). Those who become blind after having been able to see do have visual dreams (Bertolo 2005, Hurovitz 1999), while those blind from birth generally have dreams without actual visual content, but which do contain mental maps and imagery from the senses they use in their daily lives (Bertolo 2003, Bertolo 2005, Hurovitz 1999). People blind from birth can even draw accurate pictures of things they dream about (Bertolo 2003), as well as being able to draw pictures of things they learn about through the medium of their other senses (Kennedy 1997). These drawings are correct in all proportions, which means that even those blind from birth have a very good idea of spatial relations in the world about them. As for colours, those who become blind at a later date know all about colours, and use their memories of colour to construct mental imagery of the world around them, while those blind from birth use the descriptions of colours to provide some sort of colouring in their mental imagery of the world about them. All these things mean that those who are blind from birth, as well as all other blind people, are capable of generating quite accurate mental images of the world around them using information derived from the senses they do possess (see page 117 in The Unholy Legacy of Abraham for the references to the scientific articles referred to). This leaves us in the same position postulated by Susan Blackmore in 1993 as to how blind people are able to make veridical observations during near death experiences and out of body experiences. As yet, no-one has managed to provide evidence to the contrary. So the third line of evidence of the afterlife postulated by Jeffrey Long is clearly no evidence at all. It is no more than an inadequate study of the perceptions of blind, and partially blind people, supplemented by the fervent hope of an afterlife. I am a physician specialized in anesthesiology. 2010 is my thirtieth year as a specialist anesthesiologist. I have a full time clinical practice at a medium sized general hospital, have written three textbooks on anesthesiology, maintain a teaching website on anesthesiology (click here to see the website), and am also an associate professor at the Leiden University Medical Centre. So the statements made about anesthesia in "Evidence of the Afterlife" certainly aroused my interest. The person was awake, able to move, but felt no pain. These people have adequate concentrations of painkilling drugs in their body, but insufficient muscle paralyzing or sleep-inducing drugs in their bodies. The person was awake, unable to move, but felt no pain. These people have adequate concentrations of painkilling and muscle paralyzing drugs in their bodies, but are awake because of insufficient concentrations of sleep-inducing drugs. The person was awake, able to move, and felt the pain of the operation. These people have inadequate concentrations of all three groups of drugs in their bodies. The person was awake, felt the pain of the operation, but was unable to move, speak, or do anything. This is due to inadequate concentrations of sleep-inducing and painkilling drugs, but where the person is still paralyzed by the muscle paralyzing drug. It is a terrible situation - like the torments of hell visited upon the living. This is a disaster, a situation which all anesthesiologists dread having happen with their patients. Usually this situation is immediately recognized and appropriately dealt with, but some people react so minimally to the pain of their operations that the situation is not recognized. These people then suffer the torments of the damned. Profoundly upsetting to anesthesiologists, and for the patients themselves - horrible, horrible. This brings us to the level of consciousness of people who find themselves awake during general anesthesia. Jeffrey Long considers it impossible for a person awake under general anesthesia to have normal or heightened consciousness. He states this very clearly on pages 101-102 of "Evidence of the Afterlife". If consciousness were only a product of the physical brain, then it would make sense that NDEs under general anesthesia would have less consciousness and alertness during their experiences than other NDEs, right? This statement is presented as fact, but is no more than his personal opinion. At the start of general anesthesia, anesthesiologists nearly always first inject morphine-like painkilling drugs. They then wait until these drugs start to take effect, before injecting other sleep-inducing drugs. I have done this many thousands of times during my professional career. Some patients say the effects of these drugs are unpleasant, that they feel unwell. But there are many, many patients who simply say, "Wow! Great stuff! Cool! Can I take some home?" In other words these people experience an opiate "rush". All morphine-like painkilling drugs can cause this effect. Heroin is just another morphine-like drug, and people receiving morphine-like drugs during general anesthesia experience the same effects as those people who inject heroin for recreational purposes. The consumption of heroin is marked by a euphoric rush, a warm feeling of relaxation, a sense of security and protection, and a dissipation of pain, fear, hunger, tension and anxiety. When heroin is snorted or smoked, the rush is intense and orgasmic. Subjectively, time may slow down. Any sense of anger, frustration or aggression disappears. Users enjoy the feeling of "being wrapped in God's warmest blanket". Heroin is the most fast-acting of all the opiates. When injected, it reaches the brain in 15-30 seconds; smoked heroin reaches the brain in around 7 seconds. The peak experience via this route lasts at most a few minutes. The surge of pleasure seems to start in the abdomen; a delicious warmth then spreads throughout the body, or at least the somatosensory cortex. After the intense euphoria, a period of tranquility ("on the nod") follows, lasting up to an hour. Experienced users will inject between 2-4 times per day. After taking heroin, some people feel cocooned and emotionally self-contained. Others feel stimulated and sociable. Either way, there is a profound sense of control and well-being. The euphoria gradually subsides into a dreamy and relaxed state of contentment. Higher doses of heroin normally make a person feel sleepy. At higher doses still, the user will nod off into a semi-conscious state. This is why some people who are aware during general anesthesia feel euphoric, feel wonderful, feel that their consciousness is clearer than normal, feel unconcerned, and feel no pain. These are simply the effects of the morphine-like drugs used to relieve the pain of surgery. Add the anxieties associated with undergoing an operation, or some medical catastrophe occurring during the operation, and a near death experience can also occur. Again I must emphasize that this is what the person undergoing the experience feels. An observer sees something quite different. An observer may see a person semi-conscious or unconscious due to the effect of morphine-like drugs, blurred and incomprehensible speech, and reacting slowly, if at all. This is the difference between the experience and the observer. The well-known "Pam Reynolds" story is a classic illustrating all the elements of awareness during anesthesia, as well as the difference between the person undergoing an experience and those observing that person. We know this from the accurate account of Michael Sabom in the book "Light & Death". In the initial stages of her operation, she was under general anesthesia, but awakened due to the effects of the bone saw. At this time she still had a normal body temperature and cardiac bypass had yet to be started. She heard the cardiothoracic surgeon say the blood vessels in her right groin were too small for the necessary cardiac bypass tubing. This was verified by other observers, which means that despite everything, Pam Reynolds actually heard the words spoken by the cardiothoracic surgeon. Only one conclusion is possible, clear and transcendent consciousness during general anesthesia is possible. So the fourth line of evidence of the afterlife postulated by Jeffrey Long is clearly no evidence at all. This so-called line of evidence is again based upon inadequate knowledge and study of the subject supplemented by a wish for the experiences to be true manifestations of the supernatural. I will now digress from the order of the list of the nine lines of evidence proposed by Jeffrey Long. This is because the phenomenon of worldwide consistency of near death experiences explains many of the subsequent lines of evidence. 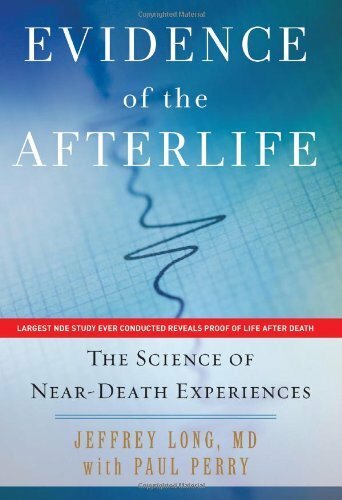 Pages 149-171 of "Evidence of the Afterlife" are a discussion of the fact that near death experiences from all over the world are fundamentally similar. Jeffrey long expressed his findings of his multinational near death experience analysis very eloquently on page 155. Such experiences , in both English- and non-English speaking countries, include the same NDE elements. The elements appear to follow the same order of occurrence. � There appears to be little difference, and most likely no difference, in the frequency of occurrence of NDE elements in NDEs around the world. This is further strong evidence that NDEs are not products of cultural beliefs or prior life experiences. Near-death experiences are, in a word, real. The following discussion fails to provide any serious statistical analysis to back up this claim. And then Jeffrey Long finishes with a grand final summing up on page 171. Near-death experiences remind us that although people on earth may be a world apart, they may share this important spiritual experience. It's amazing to think that no matter what country we call home, perhaps our real home is in the wondrous unearthly realms consistently described by NDErs around the world. The flow of blood to the body stops because the heartbeat is so abnormal that no blood is pumped by the heart, or the heart stops beating, and the brain is subjected to total oxygen starvation. The small reserve of oxygen within the blood and the cells of the brain is soon exhausted, causing rapidly progressive oxygen starvation. Oxygen starvation of the brain first causes failure of prefrontal cortex function, causing the patient to feels serene and indifferent as he/she gradually "fades away". Subsequently, oxygen starvation of the brain causes failure of those parts of the brain called the supplementary motor cortex, the frontal eye fields, Broca's speech cortex, and the primary motor cortex. Failure of these parts of the brain causes the eyes to stare fixedly straight ahead, the person is paralyzed and unable to move or speak, even when they try to do these things. At this time the retina also fails due to oxygen starvation, and the patient feels their vision failing - they see grey or everything becomes dark. Yet surprisingly they are able to hear quite well at this time because hearing is one of the last senses to fail. Within 5-20 seconds the person is unconscious, can sense nothing and experience nothing. Their body is discovered and resuscitation with cardiac massage commences. About 1 in 5 (20%) of all people performing cardiac massage is so efficient their efforts generate a flow of blood around the body sufficient to restore consciousness. Sometimes this flow of blood is sufficient to restore normal consciousness, but usually it is just sufficient to restore some degree of consciousness, but not normal consciousness. Normal consciousness takes longer to return than it takes to restore pumping action of the heart. Oxygen starvation of the eyes is somewhat reversed, restoring some central vision. At the same time, oxygen starvation, stress, and adrenaline administered as part of the resuscitation medication causes the pupils to be wide open - so patients see a bright light at the end of a tunnel. Furthermore, abnormal interpretation of bodily sensations, together with abnormal muscle spindle function generates sensations of movement and floating - so the person perceives themselves to be traveling down this tunnel towards the bright light. Restoration of entire retina function restores the ability to see light, but does not restore normal brain function, nor does it restore normal pupil size (adrenaline effect). So the person perceives themselves to be passing out of the tunnel into the light - they are "enveloped by the light". At this same time, having passed into the light, while consciousness is gradually returning, but still abnormal, a person may undergo wondrous hallucinatory experiences. Such experiences are partly delusory due to misinterpretation of bodily sensations, sometimes due to abnormal electrical activity in parts of the brain such as the hippocampus which is very sensitive to oxygen starvation. The latter can also generate sensations of life review, while abnormal electrical activity in the rest of the temporal lobe can also generate sensations of immaterial presences, or of religious figures. The resuscitation progresses, and consciousness returns to near normal. The resuscitating doctors and nurses speak, and what they say, what they do, and all other sounds are heard by the patient, while still paralyzed due to oxygen starvation and apparently unconscious. The doctors and the nurses regularly open the eyes of the patient to shine a light into the eyes to check papillary reactions to light. And sometimes the eyes of a patient remain open during resuscitation. So some patients can see what is happening around their bodies during their resuscitation. These sensations, combined with abnormal sensory information from muscle spindles, combined with abnormal interpretation of muscle spindle sensations can generate sensations of displacement and movement out of the body - all these things combine to generate out of body experiences during which the person sees and hears everything occurring to their body and around their body. Failure of prefrontal function means they still feel calm and serene at this time, as well as indifferent to pain. Of course not everyone undergoes a near death experience due to cardiac arrest. But this example does show the stereotyped sequence of changes oxygen starvation induces in the body and mind. Similarly, drugs, poisons, and other disorders also induce stereotyped changes in body and mental function. After all, body structure and function are the same all over the world. These things provide a sound and provable medical explanation for the worldwide similarity of near death experiences. No supernatural causes are required. Accordingly, the eighth line of evidence of the afterlife, the worldwide consistency of the near death experience is absolutely no concrete proof of the reality of an afterlife. 7. From the mouths of babes. Pages 135-157 of "Evidence of the Afterlife" are a discussion of the near death experiences of children. Jeffrey Long points out on pages 144-145 that these experiences are as consistent as those of adults, and are also unrelated to socio-cultural influences. Again, he does not even mention the obvious medical explanation. The bodies of children are similar to those of adults. This means they also respond to diseases, drugs, and poisons in a manner that is the same the world over, and the same as adults. No supernatural explanations are required - just the same biology and body function. Accordingly, the seventh line of evidence of the afterlife is clearly also no proof of an afterlife. Just as with the so-called proof of the worldwide consistency of near death experiences, Jeffrey Long fails to come up with the obvious medical explanation - the basic similarities of human bodies. Pages 108-120 are a discussion of the phenomenon of life-review. Life review occurs in about 14% of all near death experiences in the study of Jeffrey Long (page 115), and the memories aroused during life review are of real events. Many examples of life review are cited in this chapter. The persons concerned see the events of their life unfold before them as if in a panorama of all actions, inactions, words, deeds and events. However, such a life review is not proof of an afterlife - it is merely a panoramic review of events in an individual's life. Such a life review also helps people understand their individual lives better, aids in evaluating their lives, acting as a sort of psychotherapy. The events initiating life review are diverse. Life review can occur during near death experiences undergone during anesthesia, during cardiac arrest and other medical emergencies, or without any real medical reason at all. There is no comprehensive single or multifactorial explanation for such experiences. But this is simply a current lack of knowledge. A lack of knowledge does not mean there is no medical explanation, only that it is not known at this time. Accordingly, the lack of a good medical explanation for life review, the fifth line of evidence for the afterlife, is not proof of an afterlife as claimed by Jeffrey Long on page 120 of "Evidence of the Afterlife". Accurate and transformative life reviews are a hallmark of NDEs, and they point to a reality beyond what we know from our earthly existence. They provide important evidence for the reality of an afterlife. The fact that near-death experiences bring about transformation is powerful evidence of the afterlife. For me it's evidence that those who step briefly into the afterlife bring back a piece of it when they return. Yet throughout this chapter, from page 173 to 197, Jeffrey Long mentions not a single one of the several possible alternative explanations for these transformative changes. Oxygen starvation generating near death experiences can cause long-lasting changes in mental function. Some people may develop a form of post traumatic stress disorder. Life review, and the brush with death, or a life-threatening experience, may cause a person to re-evaluate their life and change. These things are also transformative, and require no supernatural afterlife to transform the life of a person who has undergone a near death experience. Accordingly, the ninth line of evidence of the afterlife is no proof of the reality of an afterlife, it is an expression of a belief system. Careful examination clearly demonstrates that not a single one of the proofs in "Evidence of the Afterlife" proves the reality of a supernatural life after death. Jeffrey Long undoubtedly has a large database of near death experience reports. Yet he fails totally to use this extensive body of knowledge to further the scientific study of near death experiences. Instead, he implicitly and unconsciously misuses the sad, and worn-out old "God of the gaps" paradigm in a totally ineffective attempt to prove what is very evidently a personal belief in the reality of an immaterial afterlife. This self-proclaimed "Science of Near-Death Experiences" actually contains very little science, and is no more than a personal expression of an unproven and unfounded belief system. Moreover, his lack of knowledge of the large body of outstanding modern and older scientific research relevant to the topics he discusses is very evident. I feel sad when I consider what could be achieved with such a database as he possesses, together with good physiological analysis. Would I recommend this book? This book is a new nadir in the study of near death experiences. Its only result will be to hurl uncritical readers back into a new dark age of superstition regarding this fascinating human experience. So I could not seriously recommend this book, except as an outstandingly good example of bad science.